Continued success delivering Non-Conflicting High/Mid-Level executive placements for our CONFIDENTIAL PMA and NTMA member client companies in ALL functional areas… concentrating on all Industrial / Manufacturing / Distribution sectors of the metal forming/fabricating/machining/tooling industries. Schroeder International LLC, a privately-held Executive Search and Management Consulting firm, focuses on all critical levels of Management /Sales / Marketing /Engineering/ Operations for PMA and NTMA member companies looking for top talent for their company’s long-term growth. We are dedicated to the comprehensive high-caliber identification, assessment and recruitment of only the most talented business leaders available in the hidden job market today. We fully qualify/vet only those candidates who are extremely excited to join our client’s team and have the required experience/skills to help their team make significant long-term contributions for growth. Schroeder International LLC is a full service confidential talent acquisition/consulting partner firm committed to adding long term value to your unique organizational/cultural management team. We continue to successfully uncover and help secure only “exceptional producers … in all functional areas … who consistently improve revenue, profitability, market share and competitive dynamics for each of our satisfied clients”. Our clients are small to large national/ international industry leaders spanning across a broad array of market sectors from automotive to general industrial, capital equipment, tooling, automation, aerospace, transportation, energy, building products and materials, agriculture, heavy equipment, mining and construction. We are always … THINKING about our client’s future, SEEING their strategic opportunities, and BUILDING stronger/profitable business organizations. 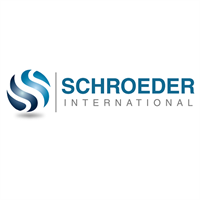 Schroeder International LLC will continue to provide our current and future PMA and NTMA clients with only highly qualified candidates required to successfully compete against strong opposing forces and challenging market conditions. Schroeder International LLC is a nationally/globally recognized retained executive search/management consulting firm. Founded in 2009, Schroeder International LLC is a team of experienced industry executives who work with Fortune 1000 companies, private equity firms and small/mid cap organizations to effectively research, acquire and retain high quality talent that will positively impact their organizations, including Board consulting and Director searches. The Company is dedicated to working with only one client from any industry vertical at a time, resulting in true non-conflicting strategic partnerships on an international scale.